"Where is Michael Soosairaj? Where is Brandon Fernandes? Where is Mandar Rao Desai?" 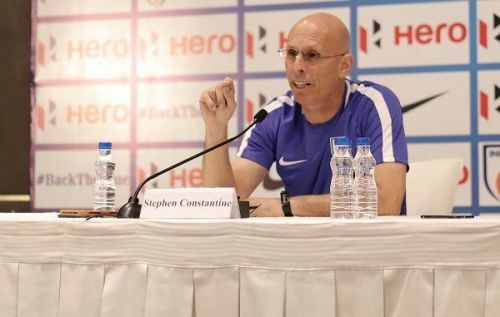 These are constant questions asked whenever Stephen Constantine names an India squad. Well, nobody has an answer to that but the Englishman himself. Several players have jumped queues and have been fast-tracked into the national-team setup without much justification being present for their selection. There is the same justification, however meek, for every decision that Constantine makes, which is that he should be allowed a free hand with the Asian Cup so close, and he can't afford the experiment too much. But really, is he not experimenting? His biggest humblebrag these days has been to show off the number of debuts that he has handed out in his tenure as manager of India. Is that not experimenting? The problem that most people have with Constantine is not his experimentation, it's with the nature of it. It's that the beneficiaries of his experiments, more often than not, don't deserve to be in the national team setup. The latest decision Constantine has made is another indication of that. 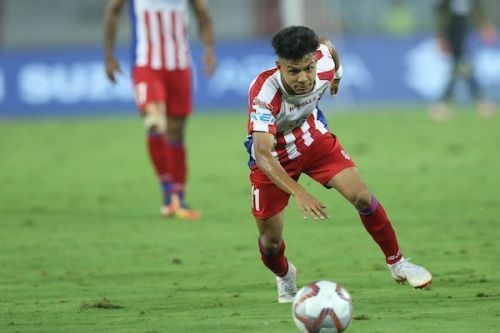 Sunil Chhetri had to pull out of the squad with an ankle injury, and the replacement called up to the camp was young ATK winger Komal Thatal. Now, Thatal has made barely any club appearances since last year's FIFA Under-17 World Cup compared to some other Indian wingers. It is a given now that Constantine won't pick Mandar or Brandon in his sides, because of previous tiffs with the two. It is not easy to sympathise with Mandar, especially. He refused to respect a call-up in late 2015 and didn't report for a camp. But apart from the obvious name that stands out in Michael Soosairaj, there are many other players who can feel hard done by at having been bypassed by Thatal. The Sikkimese's U-17 World Cup team-mate Rahul KP had a break-out season in the I-League with the Indian Arrows last season. 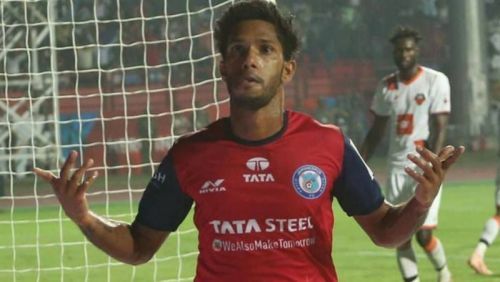 The youngster from Kerala impressed in the World Cup as well, before going on to score a few important goals in the developmental side's debut I-League campaign. East Bengal's Laldanmawia Ralte has been a part of Constantine's plans as well, making the squad for the Intercontinental Cup as well. He's suddenly disappeared from the national squads, despite consistently impressing in both the Calcutta Football League and the I-League. In his pre-departure press conference, Constantine lamented that not enough Indian attacking players are getting the chance to play for their ISL clubs. Given that, it is perplexing that Bikash Jairu has made the squad yet again. Cesar Ferrando has used Jairu as a left-back this season, but Constantine already has four other left-backs named in his squad - Narayan Das, Subhasish Bose, Jerry Lalrinzuala and Nishu Kumar. And then, we come to Jairu's club-mate Soosairaj. Really, what more can he do? What more is humanly possible for a footballer to stake his claim for a national team spot than Soosairaj's last few seasons? After signing for Chennai City FC at the start of the 2016-17 I-League, the Tamil Nadu winger has only impressed and impressed more. He was Chennai City's talisman in two I-League seasons, where he was the standout player. The move to Jamshedpur FC in the ISL hasn't brought different results. He's got three goals in six appearances already and has been one of the most impactful Indian attackers in the league this season. When the coach laments about Indian players not getting enough chances to play in the ISL, you'd think he'd pick those who have consistently impressed and got consistent playing time, right? Maybe not, in this case. None of this is a slight on Thatal's talent or ability - he's shown in glimpses for ATK this season that he's definitely a future option for the national team. Also by Constantine's own admission, Thatal is not yet ready to play for the senior team yet. Then, why call him up, even if it just for the training camp? Why is Constantine using national team camps to give experience to young players? Surely, a rational thought would be to pick players who are already? India have a shortage of attackers, and you can sympathise with the coach in that aspect. But sometimes, you have to wonder if he helps himself too. From a lot of his moves in recent times, it certainly hasn't looked like it.